Archive for the ‘Beauty’ Category. Ugly, but pricey, car sighting turns into teachable moment! “Why would anyone pay that much for such an UGLY car!” I commented to the kids as we drove along and saw notoriously expensive type of car. Alrighty, if they were going to get all deep with the conversation then I thought would too and claim it as a teachable moment! “What does the Bible say about our insides versus outsides?” I asked, remembering the topic of “Beauty” in Parenting with Scripture: A Topical Guide for Teachable Moments. It turned into a great discussion! Love making use of those “and when you walk (drive) along the road” moments as Deuteronomy 6:6-7 exhorts parents to use in the spiritual training of their children! Keep your eyes open teachable moments during drive time! once you’ve had a chance to look it up in Parenting with Scripture: A Topical Guide for Teachable Moments. 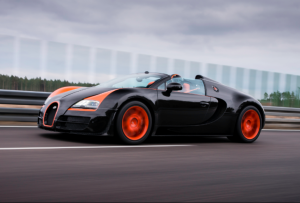 This is the Bugatti Veyron 16.4 Grand Sport Vitesse which starts at a cool 2.5 million. This idea comes from the topic “Beauty” in Parenting with Scripture. 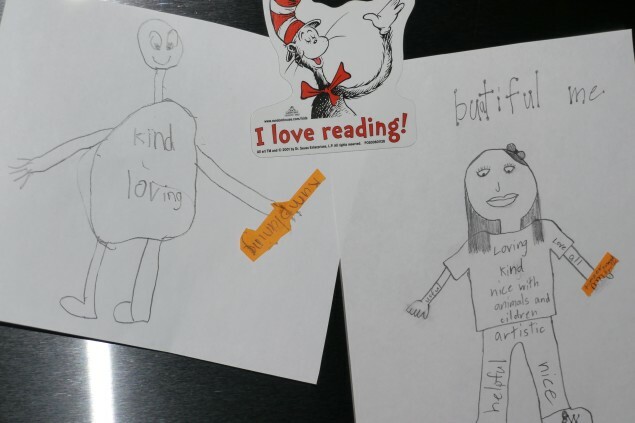 The children draw pictures of themselves and writes ways they are internally beautiful on the inside. Then, discuss attitudes or actions that need a “make-over.” (I had to explain the concept of a make-over to my kids.) The children write these on strips of paper and attach them to their hands. Pray together that God will help the children with their internal make-overs. Post the pictures on the fridge as reminders. This has been a blessing for us because the children were the ones to come up with the areas they needed to work on. So, instead of me badgering them about “kumplaning” or “timper towrd brother,” I could just point to the fridge or gently remind them of the make-over.